They're critically endangered — and this happens all the time. Chilling photos have just surfaced from a massive bust by Chinese customs officials in the Guangxi region. 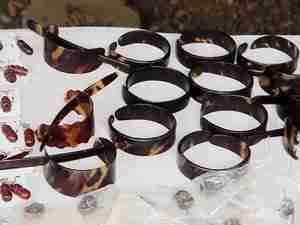 Over 100 shells of critically endangered hawksbill sea turtles were seized from smugglers last week. Stuffed with cotton where the heads of the animals once were, the shells were lined up and counted on the sidewalk - all 109 of them. While people have been commenting online that they've never seen photos like this before, the sad truth is that this trade is far more common than most people know. "The hawksbill shell remains one of the most prolifically traded endangered species products out there," David Godfrey, executive director of the Sea Turtle Conservancy, told The Dodo. "There are seizures of this nature all too frequently and it is the reason that they're critically endangered." It's estimated that only about 15,000 nesting female hawksbills are left on Earth - and the future existence of the species depends on their survival. When people say "tortoise-shell glasses" or that a piece of jewelry has a "tortoise-shell inlay," those are generally plastic products made to look like a hawksbill shell, Godfrey explained. Even though the real hawksbill shell is illegal to trade or buy under CITES (the Convention on International Trade in Endangered Species of Wild Fauna and Flora), just like ivory, jewelry and other trinkets made of the shell are still all too easy to find in international markets - and even, occasionally, over the internet. The clandestine networks that trade in real hawksbill shells are often hidden in plain sight, according to Godfrey, so they can be difficult to track. Fishermen in the Caribbean, the Philippines and Indonesia catch hawksbill sea turtles and traffic them in illegally with their other products. "The raw shells of these turtles, that have been beheaded, are making their way into shipments into China," Godfrey said, and China is one of the countries with the highest demand for the product. "I have heard that the most beautifully worked artisan products from hawksbill shell can be as valuable as gold ... It's similar to ivory." It isn't just the hawksbill sea turtle who is under siege. All kinds of sea turtles are under threat because of their shells - and even their meat. "All species of sea turtles, including hawksbills, are under constant assault for their shells which are turned into souvenirs, jewelry and other items often sold to unwitting tourists," Adam Roberts, CEO of Born Free USA, told The Dodo, pointing out that turtle meat is also a culinary delicacy in many countries. "No one should partake in this massive carnage that threatens the long-term viability of the species. 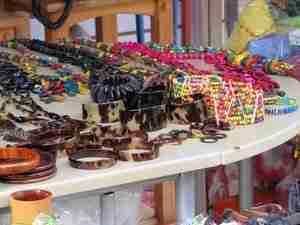 International wildlife trade is about more than elephant ivory and rhino horn." Susan Tellem, founder of California-based American Tortoise Rescue, pointed out that there's also a problem with legal trades of tortoises to China - and it's going on right here in the U.S.
"Louisiana legally harvested and shipped more than 16 million turtles to Asian markets over the past five years where they are sold as food (alive) or pets," Tellem told The Dodo. "That's only one state. Millions more of our indigenous turtles are shipped to Asia every year. You may be surprised to know that in the U.S., many Asian live food markets in small and major cities also sell live turtles for food." Tellem and her organization have been petitioning legislators for 17 years to stop the trade in California - and they aren't about to give up. "Barbaric," Tellem said. "At this rate, we will deplete our native turtles by 2050." Meanwhile, Godfrey has teamed up with other organizations to compile and analyze data on the illegal trade of sea turtle shell to make a case that more needs to be done to help the animals. "The biggest threat is that tourists travel to these destinations and they need to know it's illegal to buy it and carry it across any international boundaries," Godfrey said. If tourists know where their souvenirs are really coming from, these animals could still stand a chance. To sign a pledge to help raise awareness and end the trade of hawksbill sea turtle shells, click here. To donate to the Sea Turtle Conservancy, click here.